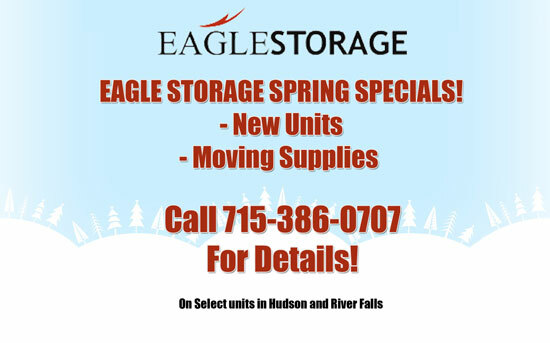 We have locations in Hudson WI, River Falls and Somerset WI for all of your storage needs! Roofing: Do you need a place to store your tools for the winter? call us we can help. Landscpaing: SDo you need somewhere to store some of our equipment? Builders: Do you need somewhere to store your tools and other equipment, Eagle Storage is ready to help!